By the end of the week I often feel like I need an easy meal that my kids will eat without complaining. By the weeks end I start to take offence as they wrinkle up their sweet little noses, and immediatly ask how many bites they HAVE to have. By the time Thursday rolls around I’m really needing an “Mmmm Mommy this is sooo good! Can I have more?” reaction! And for that in our house, pizza or meatballs are a guaranteed win! I use ground turkey for this recipe but you can easily swap that out for ground chicken or lean ground beef. In a large bowl combine meat, onions, oats, eggs, spices. Mix throughly with your hands and form small meatballs. Heat the pasta sauce in a pot on the stovetop over medium heat. Add the meatballs to the sauce and cover with a lid. Cook over medium heat for 25 minutes or until you think your meatballs are fully cooked through. It’s been a while since I’ve used Epicure spices in one of my recipes and I have no idea why!! Epicure spices are one of my absolute favourite shortcuts in the kitchen! If you are trying to eat clean but need meals that are quick but don’t compromise on taste, then you HAVE to try Epicure spices! Most of their spices are clean and have no sugar added! Many are also salt free or low in salt. They have pre-mixed spice combinations for all of your favourite dishes from tacos, to fajitas, meatballs, meatloaf, chilli and more! You can take your clean cooking from drab to fab with just a simple sprinkle of these spices! 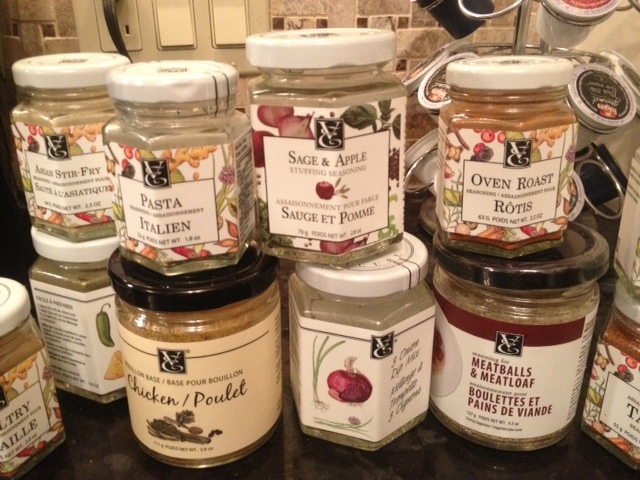 I order my spices through a friend who is a distributor, you can order them from the Epicure website as well. 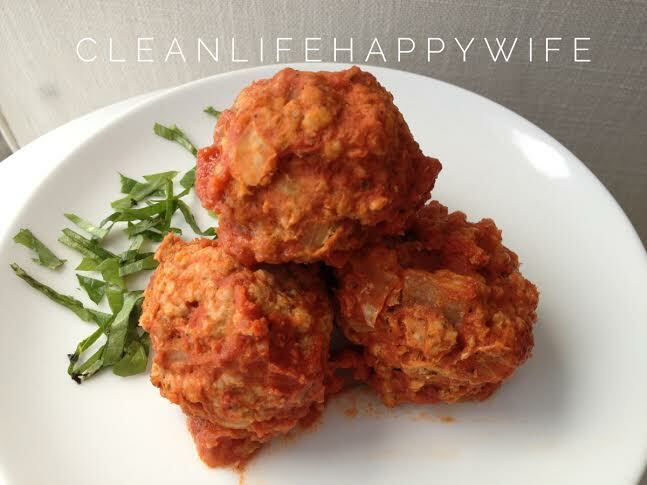 I hope you love these meatballs as much as our family does!